The Centre's decision to scrap Rs 1,000 and Rs 500 notes has posed a challenge to the tea industry in north Bengal as managements of several plantations do not know how to pay the garden hands on time, while labourers who received wages recently do not know what to do with the money. While most garden owners in the Dooars and Terai have already withdrawn money from banks to pay the workers, most managements in the hills were about to withdraw cash from banks in a day or two for the purpose. But Rs 20,000 (the maximum one can withdraw in a week till November 24) would not be enough to pay labourers. The maximum amount that can be exchanged in a bank by an individual in a day is Rs 4,000. Most garden hands are paid every fortnight and only 10-15 per cent of the north Bengal tea estates pay wages weekly. "The Centre's decision that notes of Rs 1,000 and Rs 500 would no longer be legal tenders has posed a problem to many tea estates in the Terai and Dooars. A number of estates, which are supposed to make fortnightly wage payments in the next two-three days, have already withdrawn cash from banks, mostly in these two denominations. They are in a fix. They cannot disburse these notes among the workers," Sumantra Guha Thakurta, the secretary of the Dooars Branch of the Indian Tea Association, said. A senior manager from a tea estate in the Dooars said there might be delay in paying wages. "If we want to exchange the money we have, we can, at best, get Rs 4,000 against one identity proof. Even if we deposit the cash we had withdrawn, later, we can withdraw Rs 10,000 in a day or Rs 20,000 in a week as per the directive. Altogether, it seems there will be delay in payment," he said. "The industry representatives are speaking to the banks and the administration to make arrangements. But unless there is a directive from the Centre, none of the banks can go ahead and exchange notes or allow withdrawal beyond the stipulated limit," he added. Amritangshu Chakraborty, the principal advisor to the Indian Tea Planters' Association (ITPA), said the organisation had sought help from tea trade unions and requested the union leaders to speak to the workers regarding the issue. "In the case of a delay in wage payment, there is always a chance of labour resentment in tea estates that can even lead to a breach in law and order," he added. Most owners of the hill tea gardens were supposed to withdraw cash from the banks in a day or so to pay their workers, sources said, but since the maximum limit of withdrawal is Rs 20,000, the disbursal might be delayed. "Today, we spoke with some bank officials who made it clear that as per yesterday's directive, the ceiling of cash withdrawal from any bank is same for all types of accounts. They told us that till 5.30pm today, they had not received any fresh directive on how long the ceiling would be there. In such a situation, tea gardens cannot withdraw the cash required to pay wages," Sandeep Mukherjee, the secretary of the Darjeeling Tea Association, said. The Darjeeling hills have 87 estates which employ 55,000 permanent workers and around 15,000 casual labourers. Around 30 per cent of the estates have paid their workers at the beginning of the week. The remaining gardens are to make payments in the next seven days, sources said. According to the directive issued by the Union finance ministry: "... Cash withdrawal from a bank account over the counter shall be restricted to Rs.10,000 per day subject to an overall limit of Rs 20,000 a week from the date of commencement of this notification until the end of business hours on 24th November, 2016, after which these limits shall be reviewed". 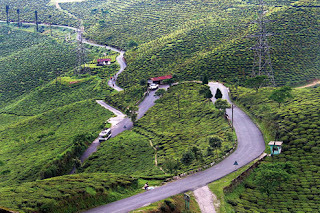 Many tea estates are in remote areas and the nearest bank or ATM is around 15-20km away. The labourers prefer payments in cash. A planter said: "Workers across the tea industry are paid in cash as many of them do not have bank accounts." "Most estates pay workers in notes of higher denominations. In the past three-four days, some gardens in the Dooars, Terai and Darjeeling have paid the labourers. These workers are now finding it difficult to spend the money as local traders and shopowners are not taking the notes (of Rs 500 and Rs 1,000)," Mani Kumar Darnal, the joint general secretary of the Intuc-backed National Union of Plantation Workers, said. "We have reports that some workers have visited their garden offices and asked the clerical staff posted there to exchange the notes," he added. Some workers are not aware of the Centre's directive about the process of exchanging notes.